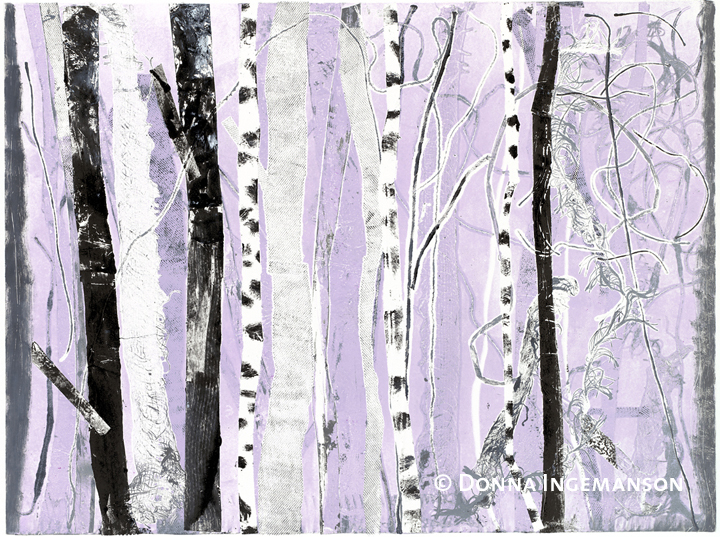 Monotype created from recycled materials. 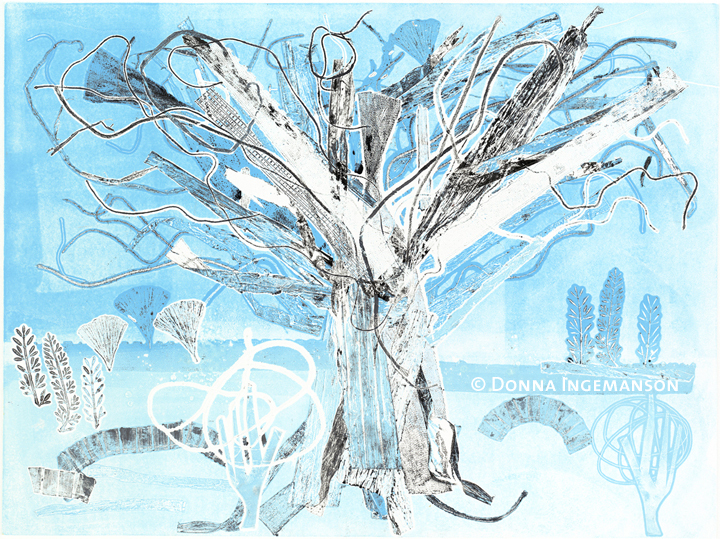 In the printmaking studio my explorations have me seeking textures and shapes in the trash. In the studio there’s a collection of strings, plastic bags, fruit bags, wax paper and other assorted, discarded items that have caught my attention lately. My process is to cut them up and apply ink on each piece with either a roller or brush and strategically place them on an inked plate. From there I place my Arches 88 paper on top and crank them through the etching press. Instead of a play on words they’re a play on the eyes. Monotype created with recycled items. After working for what seems like endless hours my plan is treat myself with a trip to the Boston Print Fair and the Boston Flower and Garden Show. For now I’ll have to be content sipping Bangkok Tea and dreaming of the warmer weather to come. You are currently reading recycled art at donna ingemanson studio.